For over a century now, Monaco has been celebrating love, celebrations and the art of the perfect welcome. Weddings and private events… Whatever your dreams, let Monte-Carlo Société des Bains de Mer draw on its expertise to bring them to life. Together, we’ll craft magical moments to create unforgettable emotion and incredible memories. Share your wildest dreams and fantasies with us, and let us work through your ideas to create the event you’ve been dreaming of holding, drawing inspiration from your traditions and all you hold dear. Sumptuous hotels, exceptional rooms, gardens and terraces with sweeping views, Monte-Carlo Société des Bains de Mer is a palette of locations and experiences! Perhaps you’d like to hold your birthday party in Monaco in the iconic Hôtel de Paris Monte-Carlo or the more unusual setting of the Villa La Vigie. Maybe you’d like to exchange vows at the Monte-Carlo Bay Hotel & Resort. Or why not throw a magical cocktail party at the Deck at the Monte-Carlo Beach, hold a dazzling dinner in the Salle Belle Époque room of the Hôtel Hermitage or a glamorous party in the Salle des Etoiles room, before dancing until daybreak at Jimmy’z Monte-Carlo. Everything is possible under the Monaco sun. Each party, theme and atmosphere is infused with its very own spirit. 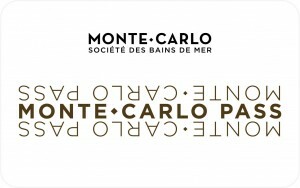 Monte-Carlo Société des Bains de Mer offers personalized support in holding your event. We have served as manufacturers of emotion and craftsmen of luxury for over a century now. Exceptional menus whipped up by our Michelin-starred chefs, parties with incredible themes, unforgettable ceremonies: we write the most beautiful of stories. 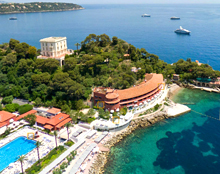 Entrusting Monte-Carlo Société des Bains de Mer with your event is to enjoy an exceptional setting. Michelin-starred restaurants, spas, casinos, venues and bars – everything here emerges as an invitation to relax, pamper and party.